A new network that delivers mission-critical voice and broadband data services for England, Scotland and Wales has a desired completion date of 2020. The goal relies on enhancing commercial network(s) to meet mission-critical standards. The Emergency Services Mobile Communication Programme (ESMCP), housed under the U.K. Home Office, must procure a replacement system for the current Airwave Solutions’ TETRA system used by Great Britain’s first responders. The TETRA system offers narrowband data and mission-critical voice services. The Emergency Services Network (ESN) will deliver future mobile communications for the country’s three emergency services (3ES) and other public-safety users, said Lorraine Russell, stakeholder engagement and communications lead, ESMCP. The Home Office is obligated to re-compete the current first responder services once the Airwave contracts expire, between 2016 and 2020, said Gordon Shipley, programme director, ESMCP. The TETRA system used by the U.K. is extremely expensive, and the Home Office is looking for ways to bring the costs down with a new system, he said. “The annual cost of providing the Airwave service is approximately £350 million (US$542 million), plus an additional £80 – £100 million (US$124 – 155 million) is spent by users on providing non-Airwave communication services,” Russell said. The TETRA network is private, which contributes to the high costs, said Sue Lampard, president of the British Association of Public Safety Communications Officials (APCO). By enhancing commercial networks, ESN costs will be based on a shared commercial network that can be benchmarked for price or re-competed more regularly to exploit market forces and take advantage of technological advances, Russell said. The network will also improve flexibility, with a menu of on-demand services ranging from ‘fully operational’ to ‘administrative only,’ which will enable users to select and pay for only the features they require. For example, priority, pre-emption and multicast may be optional, Russell said. ESMCP is engaging with the Third Generation Partnership Project (3GPP) international standards body to encourage the inclusion of public-safety functionality in LTE Release 12 and is engaging with the mobile network operators (MNOs) to address coverage, security and availability. The MNOs have indicated their intention to have a national 4G network deployed by 2015, with EE already having rolled out a substantial 4G network with O2 (Telefónica UK Limited) and Vodafoneand announcing their intention to do so this month, Russell said. Public-safety officials and carrier executives debated whether commercial services could handle public-safety requirements in May. Existing contracts with Airwave begin to expire in 2016, however, the exact date of service commencement will be dependent on when MNOs deploy and enhance their networks, and the delivery partner mobilizes and prepares for an orderly transition to ESN by 2020, when all Airwave contracts will be expired, Russell said. The MNOs said they think it’s realistic for 3ES to operate on an enhanced commercial network within their timeframe. However, ESMCP will not move to this new network unless and until it’s safe to do so, Russell said. The high-level user requirements were generated by the Programme Team, working within the Home Office, but are not publicly available because of a none disclosure agreement, said Lampard. Lampard said she expects that the two systems will run in parallel until all the requirements are met for mission-critical voice over an LTE network. “In the TETRA + Critical Communications Association’s (TCCA) opinion, the earliest that LTE technology suitable for public safety and other critical data communications use could begin to become available, in the U.K. and elsewhere, remains several years away,” said Tony Gray, chair of the Critical Communications Broadband Group (CCBG), a TCCA working group. 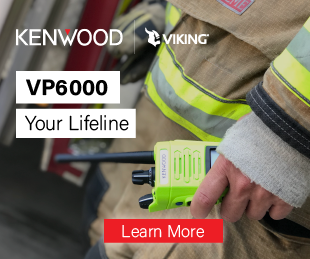 “Even then, we do not expect adequately standardized and proven equipment to be available specifically to deliver critical voice services over LTE. “Accordingly, the TCCA is of the view that current technologies such as TETRA will continue to be the technology for mission-critical voice communications and that LTE-based critical broadband services will initially be implemented as a separate, data-only capability,” he said. Airwave did not reply to comment requests by press time.